← Me, Talking about my Daughter’s Past Life on National TV!!! What do you do when somebody dies? What do you do when you have so many around you die? It is not easy. In the last several months, three parents of friends (that I all knew), one baby, one teenager, and someone I considered a sister all passed away. The hardest part is that even though I know what happens next, it is still hard. Even though I know it is celebration of their return on the other side, it is still hard. They all recognized that they died. Angels, spirit guides and previously passed over loved ones were right next to each of them, as they have been for all of their lives. Then, a large, loving, golden Light appears to their right. The love just oozes out of this Light. The love just draws you right into it. 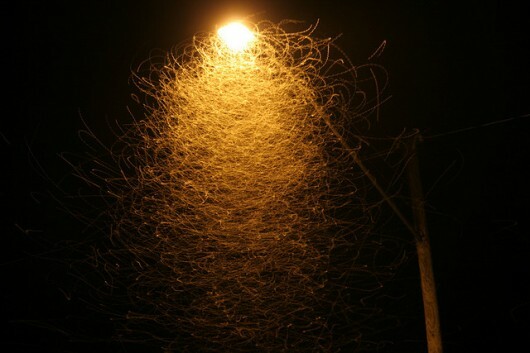 Why are insects attracted to a light? If you have read any of my blog posts, you know that I have remembered many past lives personally. In fact, I have remembered well over 50 past lives. A few times my spirit guides have said to me that it is really important to go into The Light. The Light is the passageway into Heaven. It is our true nature of our self, our true lives. Earth is the classroom we visit to learn life lessons. When we forget or do not go into The Light we can get lost. We do not go into The Light for various reasons that can include memory problems before death, feeling unworthy, wanting to stay to watch over loved ones, or if you die a sudden unexpected death you may not realize you died. I do not (yet) fully understand what it means “to get lost” after death. Maybe we get stuck in a ghostly spiritual sense on the Earth plane where we may forget about the spark of light in our hearts and avoid going into The Light. When my best friend’s parents both got sick it was hard to watch both of them deteriorate. First her mother died. It was very hard. It is always hard to see someone suffer and die. Interestingly, I saw her spirit in my own living room not long after her death. She told me she was waiting for her husband to come too. I knew inherently that she did not go into The Light. It is hard to explain how I know, but she just seemed heavier, denser somehow than those I have seen who have passed over in through The Light. She felt different. A few hours after his death, I sat in my living room in complete disbelief. All of this had transpired so fast. Her parents were both fine just a few months ago. At that moment, a saw a vision of her dad showing me that he found her mother. He stood to the right of her. He made me aware that he found her so that she would not get lost. I got the impression, that this was part of the reason he felt he needed to go. He showed me how he was firmly grasping her hand to make sure she was safe. The Light, so golden and loving, appeared behind them. As The Light became brighter, they appeared more silhouetted. They turned and looked back to the Earth class and smiled. They turned and looked at each other and smiled more. Then, they looked into The Light and walked into it. It was the sweetest, most loving thing between two people that I have ever witnessed. This entry was posted in Inspiration, Life, Metaphysical, Spirituality and tagged angel, children, death, emotion, Family, fear, future, ghosts, guardian angel, healing, Heaven, Love, Parenting, past life, Philosophy, reincarnation, spirit guide. Bookmark the permalink. 10 Responses to Can You Get Lost After Death? As a past life regressionist, I’m always amazed when someone regressed to a life where they don’t go to the light, but roam as an Earth-bound spirit. We move these aspects on to the light – better late than never. I am also a past life regressionist… I really enjoy listening and learning from each person who remembers a past lifetime. My friend’s mother was not here long before she was helped into The Light by her father. I need to talk to my spirit guides to get a better understanding on the ‘lost’ terminology so I can relate it here. I totally agree that those who pass should go into The Light. Beautiful story, Karen, about the parents of your friend. Thank you for your kind words. I agree that we make what we think happens at death. Is it because we regain our ability to utilize our gifts as instant manifesters? Where thoughts become things. I know after re-experiencing many past life deaths there were a lot of consistencies. In one, I did not feel worthy of going into the light. It could have been many years that I sat around in spirit here until my spirit guide came and convinced me to enter the Light so I would not get lost. They love us so much. is it true that we choose our parents and the life we are going to have before we come to earth ? Yes. We choose it all. It is all through our own free will. We visit with our guides and they show us many choices of lives we can experience. We chose it all. When we have deja vu, we are remembering what we have been shown before coming here. Thanks a lot for your reply, I’ve read about it a couple of times and in a way it makes sence although it is not always easy, but I try to be happy for the ones that are already “on the other side”, I know everthing happens for a reason, a lot of people don’t want to talk about this, they prefer to blame God for all their bad luck…. Yes. It is hard to accept complete responsibility for the life you live. Those on the other side consistently just want us to know we are loved by them and they are trying to help us while we are still here. Everything does happen for a reason, when we start to see the synchronicity of it all, our lives change for the better. Wonderful post about your friend’s parents. Although the loss must have been incredibly hard for her, she is lucky to have a friend like you to help her through. That you could witness her parents going into the light was probably very reassuring to her. Thank you for your kind words. It was and is still very hard on her. Seeing that was a rare opportunity for sure. I texted her right away and it did make her have some solace.